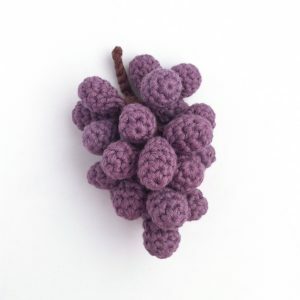 I’m using my crochet wash mitt pattern, which I haven’t used for a while, and it’s rather fun rediscovering it, almost as if it were written by a stranger. 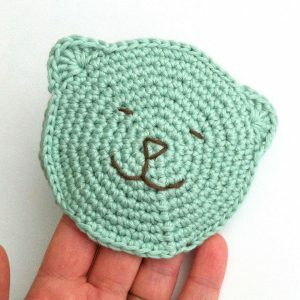 Terry toweling washcloths are all very well, but hand-crocheted wash mitts are definitely the business! 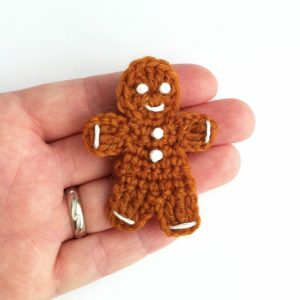 Newly re-listed in my Etsy shop today, are my better-than-even gingerbread brooches. This year they are made in 100% British wool that has been specially hand-dyed for me by Caroline of The Occasional Purl. 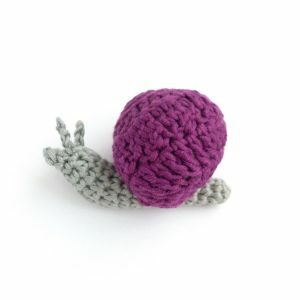 Scroll down for the snail crochet pattern. 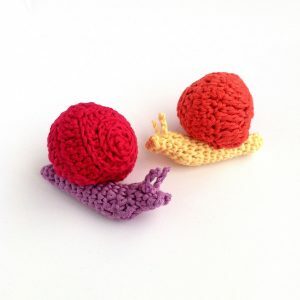 Did you know the collective noun for snails can be a walk, rout or escargotoire? 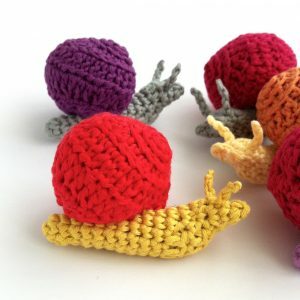 The collective noun for slugs is a cornucopia. 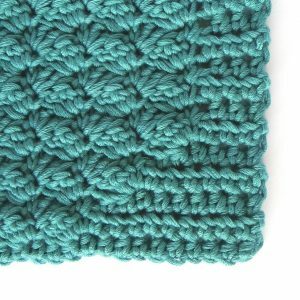 The organic cotton yarn that I use for… well, everything has been discontinued, so I’ve spent the last few weeks working out what this means for my offering. The yarn I use is Twilley’s Freedom Sincere organic cotton DK, and it is top quality and totally reliable (thoroughly consistent dye lots, no knots, always true to gage). 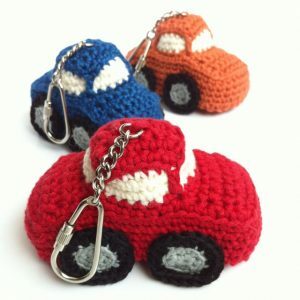 It gives the smooth finish perfect for the 3-D crochet I specialise in, and it comes in a very large range of colours that has allowed me to make everything from bright-red cars to pastel wash-bears via purple grapes.